The bug that swept through the Lions den had an effect on not just their result on the weekend, but the play of many of our stars. 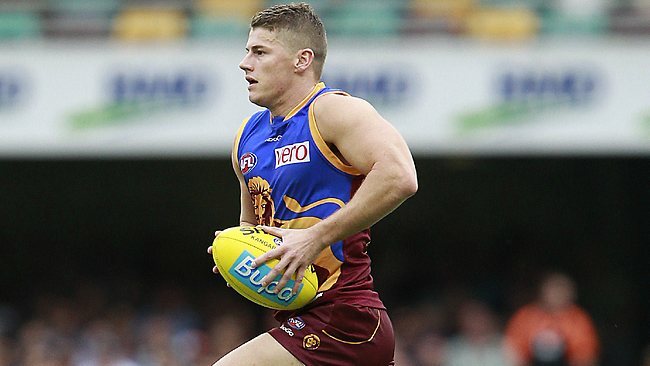 Zorko the (oft) Magnificent was amongst them, adding a paltry 14 points to his season total. It was a long afternoon for owners of Dayne, and now heading into the last week of byes we need to decide, should our magic man stay or go? Season to this Stage Zorko went into this clash against North Melbourne, having had a quite run of 73 and 68 in his last two but with back to back tons previous to these two efforts, his owners were holding strong. He’d been spending a fair amount of game time in the middle, after injuries to a number of key Lions left them in need of hardened bodies. After beginning the season as a relative unique, his ownership numbers grew dramatically to 24% & 25% respectively across Fantasy and RDT. Fantasy coaches couldn’t have planned for the impending disaster that’d ensue. Gastro swept through the camp and Zorko copped the full wrath of it, eventually being subbed out in the third after a mere 3 touches. Unfortunately we are left to consider the ramifications of the fantasy god’s latest move. Realistically the best thing to do is trade in this format of game. Unlimited trades means not only can we watch him come back and see what type of form he’s in, we can also surely watch his value decrease further. With the Lions having the Round 10 bye, avoiding a potential donut just adds another point to the argument. By Round 13 we may be able to grab him for sub 380k, in form and with an easy to make break even! If you have other dilemmas that need greater attention, then it’d be far from disastrous to hold. He should continue with his pre-injury average of 90.75 and assuming that the field stays relatively similar to how it is now placed, you should still have a top 6 forward of the competition. Another hold strategy would be if you are in greater need of making a clear upgrade, and consider the loss of value to Zorko to be less important than making a Robertson to Selwood-type move, although this type of move largely hinges on whether you’ve been building a war chest over the last few weeks or not. With regards to Real DreamTeam, it must come down to a case-by-case analysis. As previously stated, pre-injury Zorko was averaging 90.75 points per game, quite easily ranked in the top echelon of scoring forwards this year, and was certainly considered a keeper. The issue now relates to his upcoming bye and the impending drop in value. If you’re playing for a league win, I’d strongly advise you to not trade. One weeks pain should lead to later weeks gain, and holding trades for a late season push at August glory is certainly the best way to go in this situation. Ultimately Zorko should sustain a 90~ average and be in the top 6 forwards come seasons end. If you are attempting a best overall finish, the answer becomes a bit more murky. Zorko is an elite forward, but moving him to a Harvey or Selwood will not only give you points for this week but will not lose you the value that Dayne is bound to drop. Under this thinking, Zorko may be brought in later on at a cheaper price and traders will have the option to watch and see his form. Although last week was very unfortunate, he did have two prior low scores, which may be seen as either a form issue or reverting back to 2012 numbers, which is a decision that owners must determine themselves. Holding is a long term strategy that should hold you in better stead, and will save one more trade to be used on either a long term injury or a further upgrade. Keeping Zorko appears to be the best considered choice at this stage, but reverting away from the pack can sometimes be the difference between the winner and the also rans. I was one of the people that brought in Zorko as an upgrade earlier on in the year, and did so on the basis that he would be a keeper. Yes he hasn’t been setting the world on fire lately, but should be up in the top 6-7 forwards come end of the year with an average around 90. With that in mind, I don’t think a one-off thing like gastro and a price drop will make me trade him out, waste of a trade really! Haha cheers mate (Y). Agree with your assessment on Zorko, but for AFL Fantasy I think you can make a real positive out of it if you can swing the right manoeuvres. I wanna get rid of zorko but have opted to instead trade griffiths to Dalhauos, Leaves me 19 players for fantasy.. What’s your opinion on this?? Really like that mate, as I stated I’d prefer upgrading if possible. I traded Zorko out straight after his 14. I also divorced my wife for slightly burning my toast last week and I had my dog put down after it barked at the TV. He’s saying trading Zorko after the 14 May be an overreaction. Hahah love the call. Absolutely think it could be an over reaction in some cases. I suspect in AFL Fantasy that it really could be an incredible move nonetheless, as I stated previously. Hold in all limited trading comps unless you’re adventurous. I think the top 6 fwds will be Danger, Martin, Dahl, Chappy, Parker and Harvey. Zorko is probs top 8 at best. What’s anyones opinion on downgrading suckling to bew; as langford and langdon have such low break evens? What Steve said. Wouldn’t move on Suckers, think he’s likely to prove himself to be a good quality keeper, either on the field or as very strong depth.